This is an old article and relates to a previous release of Windows Live 2009 applications. Although you can continue to download and use these older versions, it is recommended that you go to the updated article and download the latest version of the applications there. This article supersedes the Installing/uninstalling Windows Live 2009 QFE applications with the second QFE (Quick Fix Engineering) release versions of the Windows Live “Wave 3” 2009 products and the released version of Windows Live Movie Maker. Beyond the released version of Windows Live Movie Maker, it is not known what has changed with the other applications. UPDATE (11/26/2009): A newer version of the Windows Live Communications Platform is now available and updated in this article. 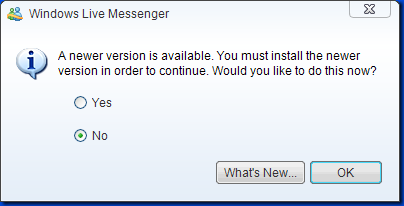 More details about this update can be found at Update to the Windows Live Communications Platform. The changed components are Windows Live Movie Maker, Windows Live Family Safety, Windows Live Mail, Windows Live Messenger, Windows Live Photo Gallery, Windows Live Sync, Windows Live Writer, Silverlight, Live Essentials Installer, Junk Mail filter update, and Choice Guard. Below you will find all Windows Live Suite 2009 “Wave 3” applications, a download link to the Microsoft Installer (MSI) file, what’s also necessary to install each application and instructions on how to properly remove each without the Windows Live installer. This allows you to install on non-supported Windows versions (Windows XP x64), fix broken Windows Live Installer installs or just to avoid the Live Installer altogether. Note: Movie Maker will only work on Windows Vista or Windows 7. 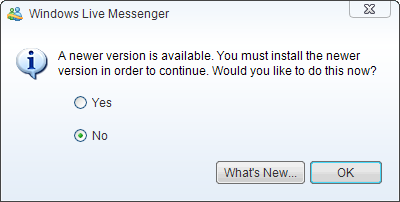 Note: This component was recently updated, see Update to the Windows Live Communications Platform for more details.